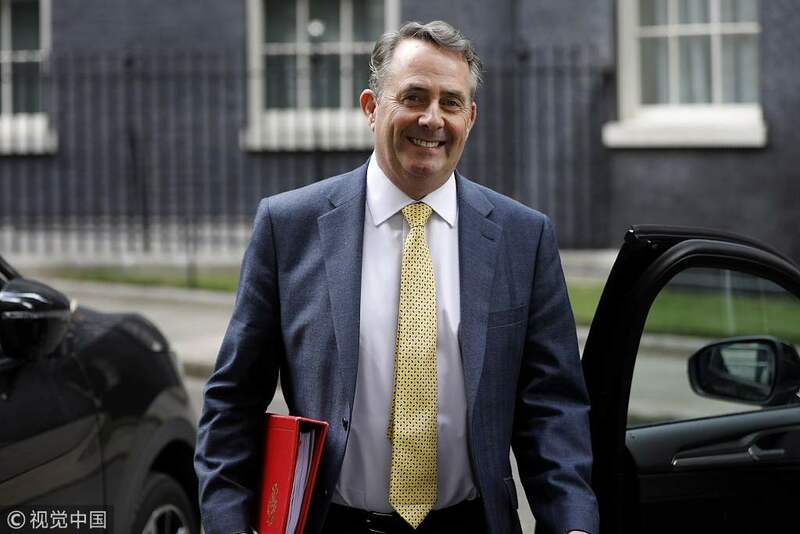 LONDON - UK trade minister Liam Fox said "intransigence" from the European Union was pushing Britain toward a no-deal Brexit, in an interview published on Saturday by the Sunday Times. Fox, a promiment Brexit supporter in Prime Minister Theresa May's cabinet, put the odds of Britain leaving the EU without agreeing a deal over their future relationship at 60-40. "We have set out the basis in which a deal can happen but if the EU decides that the theological obsession of the unelected is to take priority over the economic wellbeing of the people of Europe then it's a bureaucrats' Brexit - not a people's Brexit - (and) then there is only going to be one outcome." Most economists think this would cause serious harm to the world's No 5 economy as trade with the EU, Britain's largest market, would become subject to tariffs. On Friday, Bank of England Governor Mark Carney was described as the "high priest of project fear" after he warned the prospect of a future trading deal between Britain and the European Union was uncomfortably high. Carney's warning sent the value of the pound sterling falling, but it also provoked a war of words from a number of leading Conservative politicians. The pound sterling dropped 0.3 percent against the dollar, to an 11-day low of $1.2975. Carney said in an interview the prospect of Britain leaving the EU without a deal was a relatively unlikely possibility, but it is a possibility, adding that a no-deal Brexit would also be highly undesirable. Conservative politician Jacob Rees-Mogg, who heads the pro-Brexit European Research Group of Conservative MPs, responded to Carney's warning, saying: "Mark Carney has long been the high priest of Project Fear, whose reputation for inaccurate and politically motivated forecasting has damaged the reputation of the Bank of England." The Brexit fallout came just hours before British Prime Minister Theresa May interrupted her walking holiday in the Italian lakes region to hold a Friday night meeting with French President Emmanuel Macron at his holiday retreat in the South of France. Media reports in London said May intended to try to win support from Macron for the soft-Brexit blueprint she published following her now famous cabinet meeting at her own country retreat at Chequers.